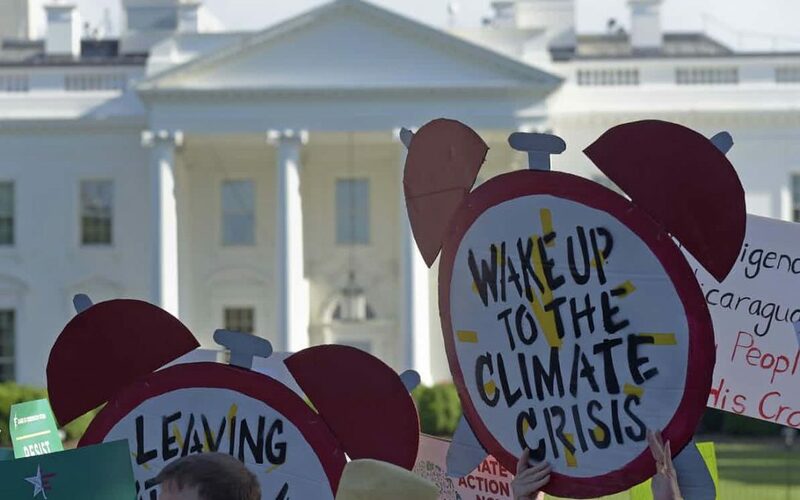 Last week, 350 founder and journalist Bill McKibben wrote an article in The Guardian pushing a new strategy for fighting climate change without the involvement of the federal government. He outlines a three point plan: (1) persuade towns, cities, counties, and states to pledge to make the transition to 100% renewable energy, (2) block new fossil fuel infrastructure through protest, and (3) cut off the money that fuels this industry through divestment and lawsuits. San Francisco has already filed lawsuits against fossil fuel companies and voted to move to a “carbon-restrained” investment strategy for public pensions, but there is still a vast amount of room for improvement. We should continue to pressure the local government to move to 100% renewables and step up their effort to divest while also pushing everyone we know to make the same personal choices. With a Whitehouse administration that openly rejects climate change and an EPA director that recently suggested it might be good for us, it is clearer than ever that we cannot waste anytime waiting for help from the federal government. Ideas like McKibben’s and Pollin’s seem like great ways to step up the fight without them.